While the Royal Gorge Region is a fantastic place to find adventure, it also has a lesser-known, quiet side inviting visitors to slow down and unwind. If you want to take a break from action-packed itineraries, the Royal Gorge Region has the solution. Cañon City, Florence and their surrounding areas in south-central Colorado offer plenty of relaxing things to do, whether you’re seeking a romantic couples’ getaway, a little solo time or an escape to bond with friends and family. Here are some of the best ways to experience the Royal Gorge Region at a leisurely pace. Get out in the fresh air and take in the natural backdrop of the Royal Gorge on an easy walk along Tunnel Drive. This flat, 2-mile route follows an old railroad bed through three granite-blasted tunnels — the rocks that surround you are more than 1.7 billion years old, so don’t hurry past them! You can stop for a rest at one of the many benches to admire the scenery, including bird’s-eye views of the Arkansas River. 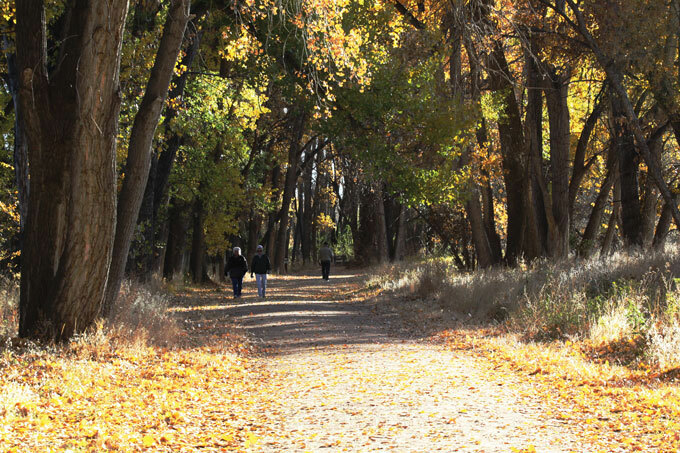 For a longer stroll, the 7-mile Arkansas Riverwalk Trail winds through Cañon City, wetlands, cottonwood groves and John Griffin Regional Park, making it perfect for bird watching and wildlife spotting. And there’s no better way to cap off a day than with a joy ride along Skyline Drive to watch the sunset. Head west from town to navigate the steep, cliff-side climb to the top of a ridge overlooking the Royal Gorge and the Arkansas River Valley. There are even dinosaur tracks embedded in the cliff face with an interpretive display to guide you. Indulge your inner child — or the kiddos in your family — and see where you can dig up prehistoric glimpses of the dinosaurs that once roamed these parts. 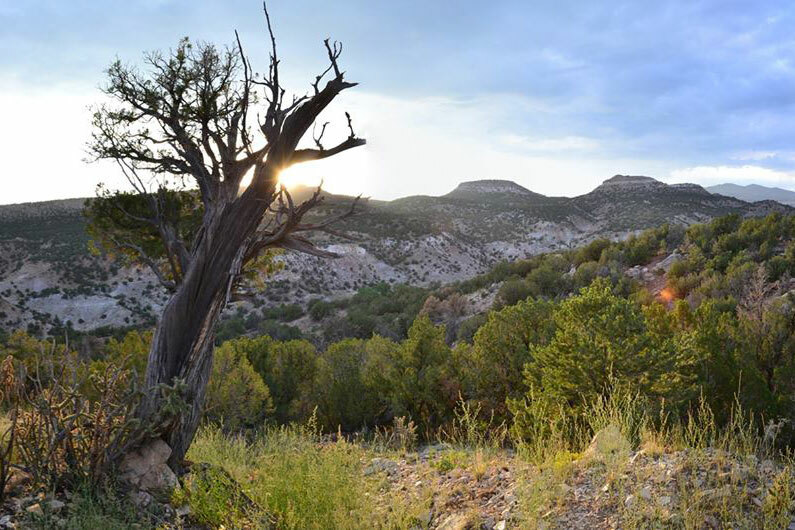 Garden Park, about 6 miles north of Cañon City, is where paleontologists in the 1870s uncovered the first of many fossils that would be found in the area (several of those discoveries are now viewable at the Denver Museum of Nature & Science as well as the Smithsonian Institute). 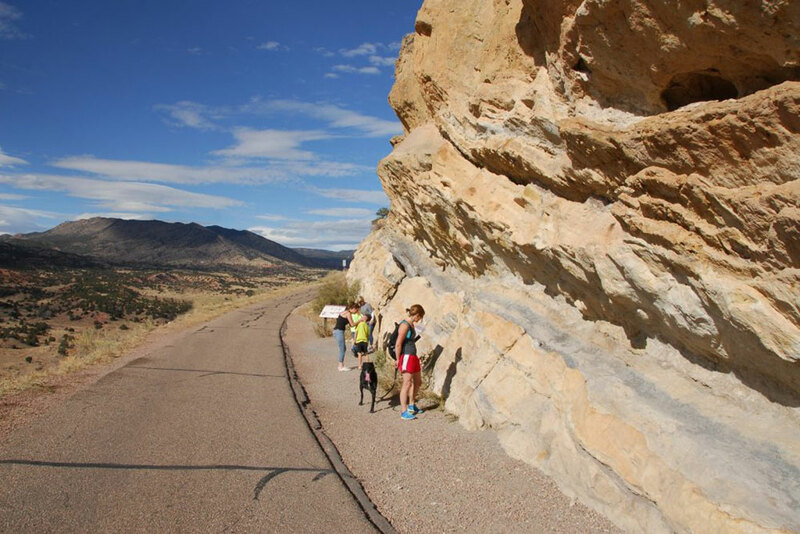 Take your time following the interpretive signs, roaming quarries and hiking and biking trails, and admiring the gorgeous terrain and rock formations. Looking for a more interactive encounter? 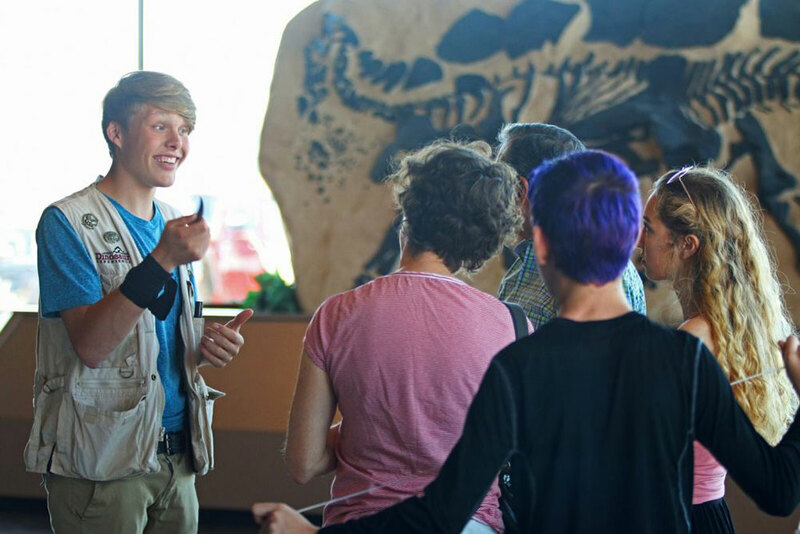 Pay a visit to the Royal Gorge Dinosaur Experience, a state-of-the-art facility that boasts full-scale dinosaur fossil casts, hands-on exhibits with actual fossils and a real paleo lab, where unearthed fossils are cleaned and prepped by the pros. Outside, venture through the high-plain desert forest on the meandering Wild Walk, a dirt trail along which you’ll find more than a dozen life-size animatronic dinosaurs. Later, shift your historical focus forward a few thousand millennia when you set your sights on the town of Florence, the antique capital of Colorado. This charming enclave is just the place to peruse the largest number of antique stores per capita in the state, housed in historic buildings along Main Street. Collectors will delight in finds like a stained-glass church window, gilded Victorian toilet or bayonet from World War II — no two stores are alike or have the same merchandise. Make a point to soak up the artsy side of the Royal Gorge Region at the Fremont Center for the Arts, the oldest privately operated art center west of the Mississippi River, located in downtown Cañon City. Residing in a 1933 post office, the unique venue offers classes for all in ages in pottery, drawing, sewing and more; workshop spaces for artists; an art history-related library open to the public; a portion of its permanent collection on display; and shows, contests and special events throughout the year. Exhibits also rotate monthly and showcase themes like photography, local color and fiber art. Exploring the region’s history is another fascinating activity, with plenty of institutions to choose from. The Florence Pioneer Museum tells the town’s story from the settlement of Ute Indians to the discovery of oil fields, and every major event and person that influenced it in between. Check out items like an old city jail, saddles, American Indian memorabilia and period clothing, and read the exciting tales that were transcribed from cowboys, miners and railroad workers. Spring and summer are excellent times to take advantage of the museum’s guided walking tours through historic downtown Florence. 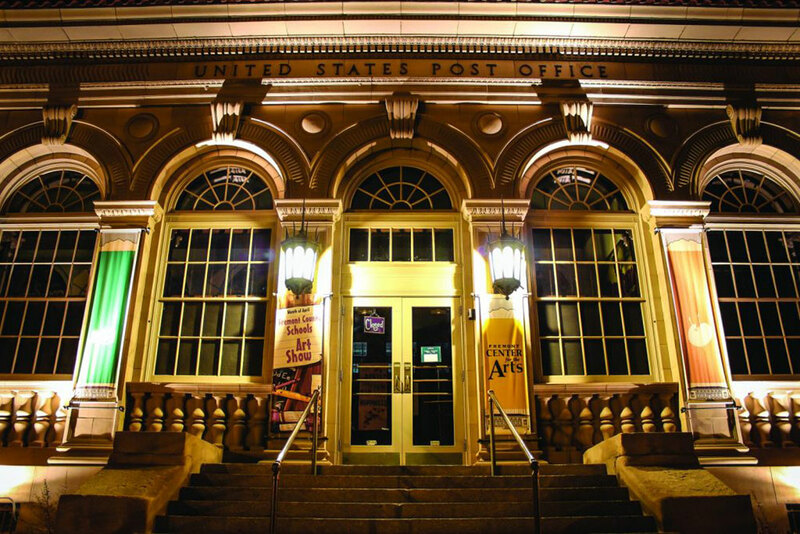 The Royal Gorge Regional Museum and History Center is an addition to the cultural scene that provides context on topics such as the film industry in Fremont County, fossil discovery and local family histories. And at the Colorado Museum of Prisons, gain insight on the history of prison life in Colorado by contemplating a series of exhibits within old inmate cells covering infamous prisoners, living conditions, punishments and more. From elegant French fare to delicious pizza and sweet treats, your opportunities for a relaxing restaurant meal are plentiful around Cañon City. 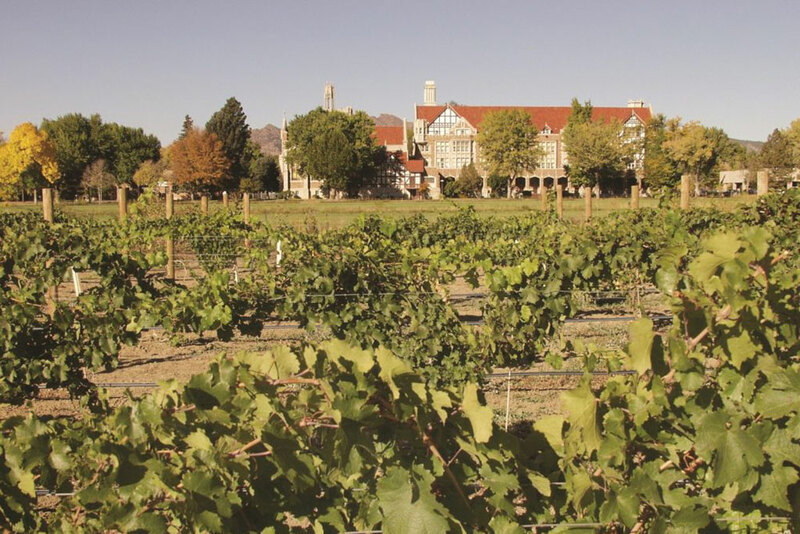 But for a chance to really put your feet up, The Winery at Holy Cross Abbey is a can’t-miss venture. Drop into the tasting room to sample a flight of locally made, award-winning wines while taking in vistas of the spectacular Wet Mountains and pastoral landscapes. Though you’re likely to want to take home a bottle of fruit-forward Sangre de Cristo Nouveau or the Vineyard Sunset blend, the well-stocked gift shop will also tempt you with an array of olive oils, balsamic vinegars, cheese boards and other gourmet goodies. 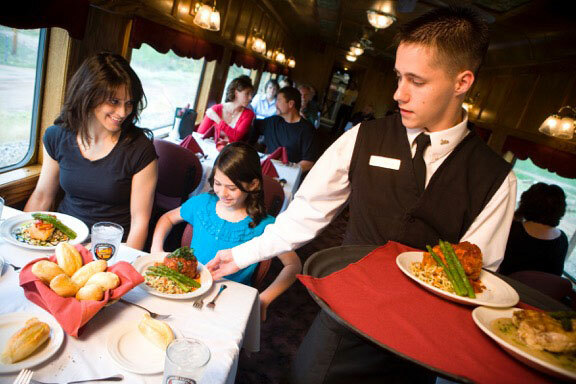 Lastly, you can’t beat the unique combination of a breathtaking journey and a seasonally inspired dining experience aboard the Royal Gorge Route Railroad, which offers First Class Lunch and Dinner Trains throughout the year. You’ll be treated to a three-course meal made with fresh Colorado ingredients, as well as access to the adjacent, private open-air car for 360-degree views of stunning scenery as the train chugs 24 miles round-trip through the dramatic Royal Gorge. Read up on more ways to unwind in the Royal Gorge Region, check the event calendar, find places to stay and browse the visitor’s guide.